Announcement Hello and welcome to Heirloom Restored. A little brocante of Anglo-American treasures with a little French flavor picked up during our travels in Europe. 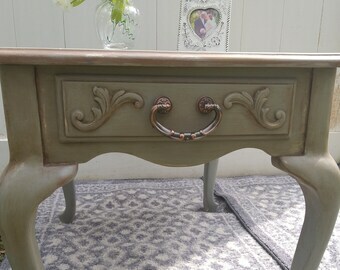 We also restore, repurpose and refurbish vintage furniture and create shabby chic craft items such as wreaths. 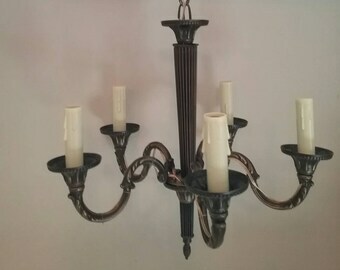 Please visit our website http://heirloomrestored. com to see some of the examples of our furniture restorations and fabrications. Hello and welcome to Heirloom Restored. Hello and welcome to Heirloom Restored, a little brocante of Anglo-American treasures with a flavor of France. We are Dewey and Joanne -- a transatlantic couple. Dewey is from Louisiana and Joanne 'across the pond'. Many of the items are from our travels in England and France. We returned to the USA last Fall and Dewey has resumed his furniture restoration business -- please see our website http://heirloomrestored.com for some examples of his high quality work. This has given Joanne the chance to return to one of her loves, painting furniture. It started many years ago when she attended a course run by Annie Sloan and she has been giving furniture a new lease of life ever since. We love to save those vintage pieces that were glorious back in the day but the wear and tear of time has simply taken its toll on them. The furniture we find is usually covered with dust and cobwebs, has a cracked door, wobbly legs, water stains, missing parts…... but, in spite of all this imperfection, they still embrace an underlying beauty and character. We then refurbish them to bring them back to their prime. We hope you enjoy browsing, please feel free to ask any questions. We can also restore your furniture and bring your heirlooms back to meriting pride of place in your home, please contact us for more details. Our items are sold as pictured and on an as-is basis and because of the nature of these items, all sales are final. We do our best to accurately describe and fully photograph each item we place on Etsy. We can provide additional pictures if needed and we will gladly answer any questions. Thank you! We prefer the speed of pay pal or direct checkout. However, If you would like to send a check or Money order, please let us know so we can tell you who to make the check out to. If you agree to pay with a check, and it doesn't arrive after 15 days. we will assume you no longer want the item. 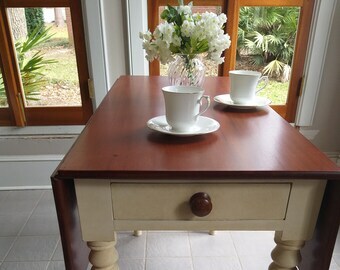 We are happy to mail smaller pieces but in the case of furniture we will do our best to accommodate your wishes. We are located in Slidell, LA. All items may be picked up from our location or delivered for a reasonable fee depending on your location. We will consider delivering items up to a 200 mile distance. Please contact us for a quote if you would like to consider having an item delivered. We are open to selling furniture to buyers outside of our area, but please contact us first.